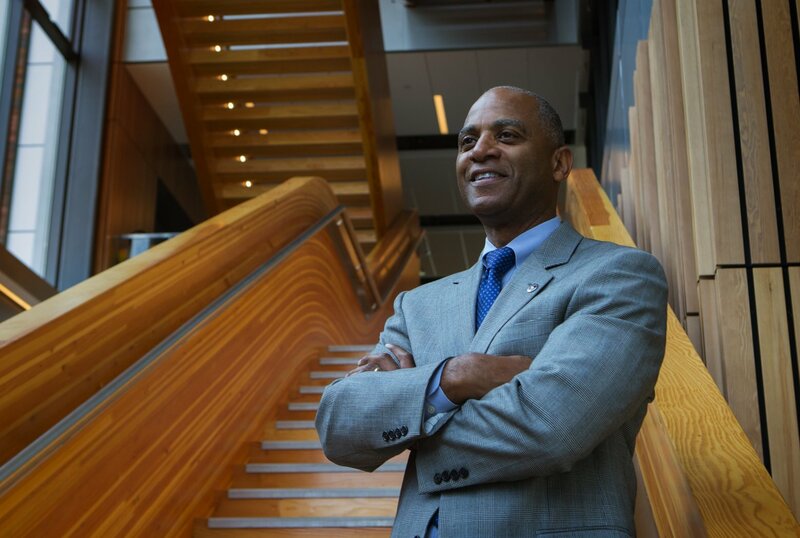 Paul Pitre is Chancellor for Washington State University’s Everett campus. Dr. Pitre became Chancellor in September 2016, after serving as Academic Dean of the campus from 2011- 2016. Dr. Pitre is an associate professor of Educational Leadership and Counseling Psychology at WSU. Prior to accepting a faculty position at WSU, he was a member of the Auburn University faculty. Pitre has worked in Public Affairs for the Greater Seattle Chamber of Commerce and as a Program Management Analyst at the U.S. Department of Education. He has also held several administrative posts in higher education. His research interests center on P-20 education policy, leadership and governance in higher education, and college access and choice. Pitre received his doctorate in Education Policy and Leadership from the University of Maryland. He also received his master’s degree in Higher Education Administration from New York University and his bachelor’s degree in Communication Studies from Western Washington University. Read Chancellor Pitre’s latest campus update in The Pitre Dish. Pitre, P.E., & Pitre, C.C. (2013) Entrepreneurship, inquiry, and college choice: Leveraging the school curriculum to increase student academic engagement and college aspirations. In F.W. Parkay, E.J., Anctil & G.J. Hass (Eds. ), Curriculum planning: A contemporary approach. Boston: Allyn & Bacon. Pitre, P.E., & James, E.L. (2012). Diversity in schools: Is aid to schools under Title I the best way to close the achievement gap between students who are economically disadvantaged and those who are not? In C.J. Russo & A.G. Osborne (Eds. ), Debating issues in American education. Thousand Oaks, CA: Sage. James, E.L., & Pitre, P.E. (2012). Diversity in schools: Are legislated school desegregation policies adequate to address unequal educational opportunities for students of color? In C.J. Russo & A.G. Osborne (Eds. ), Debating issues in American education. Thousand Oaks, CA: Sage.